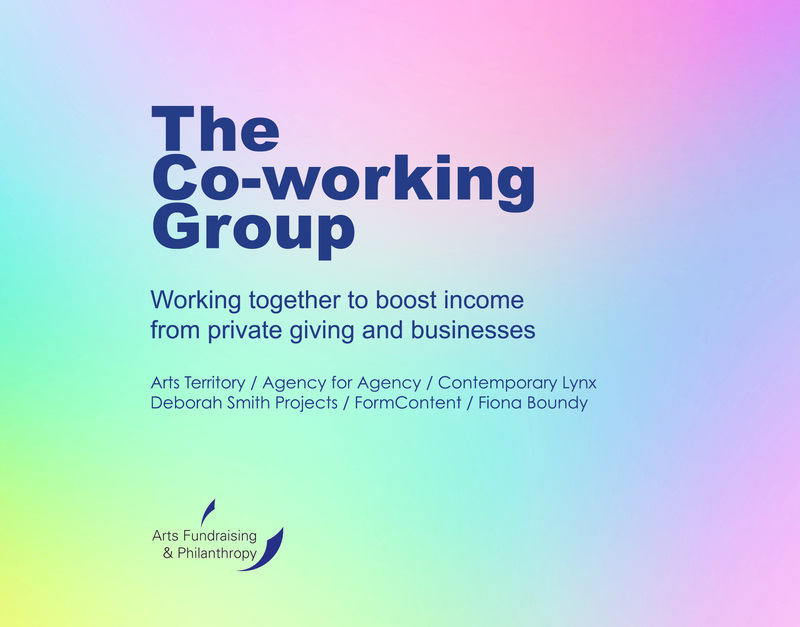 The Co-Working Group was a consortium of London-based small-scale and/or start-up arts organisations and independent art professionals, brought together to work to produce funding solutions for their sub-sector. The aim was to combine efforts and skills to boost income needed for their projects and activities via private giving and business contributions. The group aimed to develop the fundraising skills of its members, engage attendants in peer-to-peer learning, and to create a supportive community of peers who can exchange knowledge and resources to bring in revenue. Supported by Arts Fundraising & Philanthropy.